Having been involved for many years with communities of artists in Los Angeles, Washington, DC, and New York City, I am currently working toward a PhD in Geography here at UCLA. My master's thesis was about artist organizations in Los Angeles, looking at their place-making activities and whether these activities align with a creative cities approach to urban planning and development. My dissertation will extend these ideas to encompass environmental advocacy alongside artists' cultural and civic work. During this summer, however, I am processing the recently acquired records of the Friends of the Los Angeles River (FoLAR), an advocacy group that has, over the years, emphasized a creative, cultural approach when addressing urban environmental issues that pertain to the Los Angeles River. The historical construction project that is the Los Angeles River-as-flood control channel took approximately 20 years to complete. In the mid-1980s, the river became the object of another sort of construction project launched by FoLAR. The complexity of this project meant a careful dismantling of assumptions and understandings of the urban environment, in order to reconstruct the Los Angeles River as an object with symbolic, cultural, political, environmental, and civic significance. 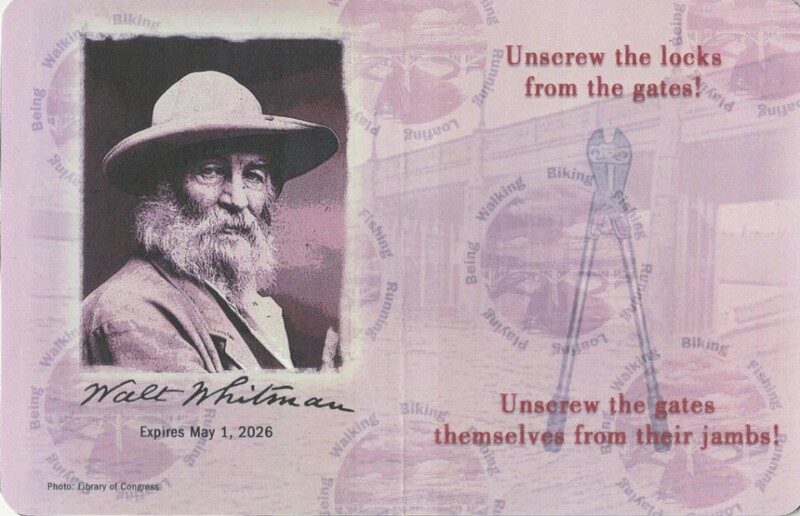 The organization, Friends of the Los Angeles River (FoLAR), was conceived of as a 40-year art project and from its inception often proclaimed the river in cultural terms. 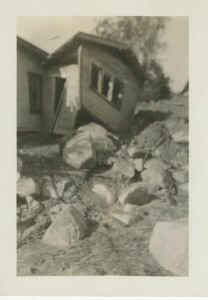 One of the original founders of FoLAR, the performance artist and poet, Lews MacAdams, has identified Robert Smithson, the American earthwork artist; Joseph Beuys, the German performance artist associated with the Fluxus movement; and the American poet and environmental activist Gary Snyder as inspirations. 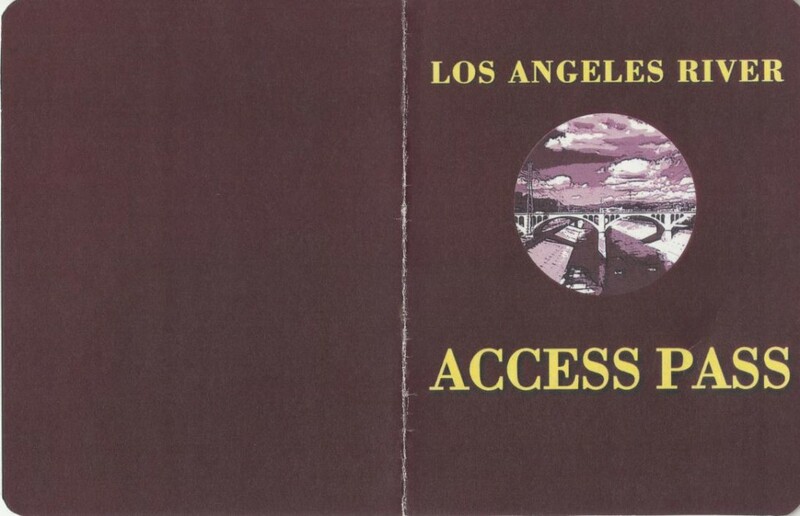 Los Angeles River Access Pass, Friends of the Los Angeles River records (Collection 2215). UCLA Library Special Collections, Charles E. Young Research Library. 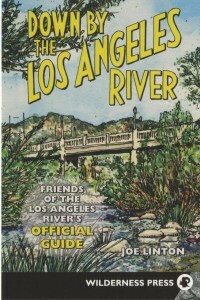 "Down by the Los Angeles River: Friends of the Los Angeles River's Official Guide," Friends of the Los Angeles River records (Collection 2215). UCLA Library Special Collections, Charles E. Young Research Library. "I ran the rapids on the L.A. River: Earth Day 1990" bumper sticker, Friends of the Los Angeles River records (Collection 2215). UCLA Library Special Collections, Charles E. Young Research Library. 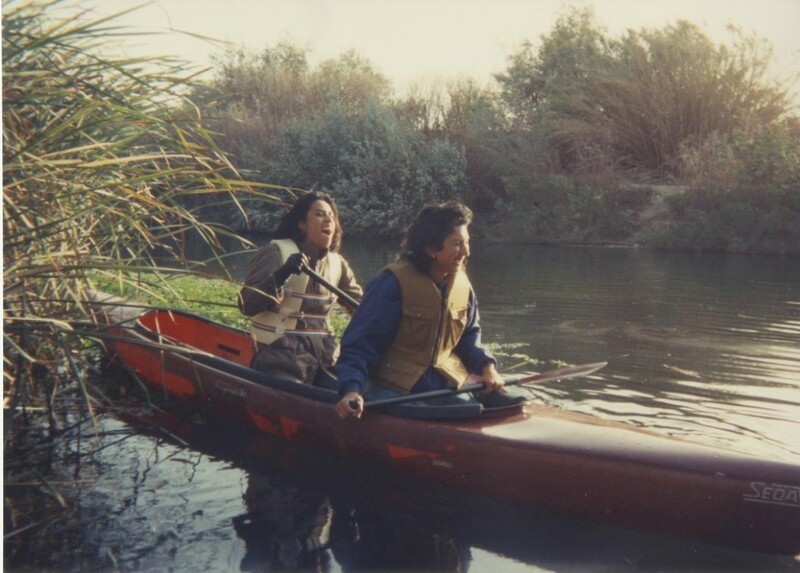 Kayaking on the Los Angeles River, Friends of the Los Angeles River records (Collection 2215). UCLA Library Special Collections, Charles E. Young Research Library. 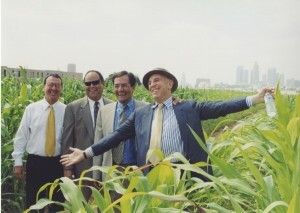 In keeping with the vision of a culturally re-constructed Los Angeles River, the current site of the Los Angeles State Historic Park near Los Angeles' Chinatown and the Los Angeles River was the site of an artwork, This is Not a Cornfield, using an historically and culturally significant crop - corn. Employing a reference to surrealist artist René Magritte's Treachery of Images (this is not a pipe), art was the catalyst for a solution involving politicians, businesspeople, environmental advocates, and Los Angeles residents. These few images are a small peek into the FoLAR records documenting the ongoing revival story of the river that has, in the past, been ridiculed as not-a-river. 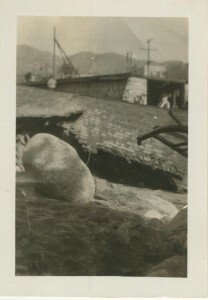 This is Not a Cornfield, Friends of the Los Angeles River records (Collection 2215). UCLA Library Special Collections, Charles E. Young Research Library.